On Wednesday night, at a much-anticipated ceremony in Glasgow’s Barrowlands, the movers and shakers of the Scottish music industry will congregate while a panel of judges decide the winner of the Scottish Album of the Year (SAY). Kevin Williamson, one of last year’s judging panel, gives his thoughts on this year’s award. In the four short years since it was launched in 2012 the SAY Award has build up an impressive reputation for impeccable leftfield taste. Previous winners were neither the paying public’s preferred choice not the industry’s latest hype project. A collaboration between former Arab Strap frontman Aidan Moffat and Bill Wells saw off fierce competition to deservedly win the inaugural SAY Award. The following year the relatively unknown RM Hubbert won the top prize with his unique strum/thrump guitar sound and beautiful raw lyricism. If eyebrows were raised at Moffat and Wells then the reaction in more mainstream quarters to Hubbert’s success was muted. Yet there’s no one else quite like Hubby. It was an inspired choice to bring his music to the wider public’s attention. Last year the 10 albums shortlisted were again of an incredibly high quality and again reflected the strength and diversity of the Scottish music scene. I enjoyed the arguments at the judges meetings, especially listening to the likes of Andrew Weatherall and Nicola Meighan, whose music and critical work I’ve long admired. I managed to whittle down the shortlist to a personal shortlist of three superlative-dredging albums by Hector Bizerk, The Pastels and Young Fathers. As it turned out Young Fathers won the 2014 award with Tape Two – a record that, in my opinion, despite its brevity (just under 30 minutes) – is a bona fide groundbreaking classic of Scottish music. I’d put it up there with Fire Engines’ Lubricate Your Living Room, The Proclaimers’ Sunshine on Leith, Primal Scream’s Screamadelica, Arab Strap’s The Week Never Starts Around Here, or Mogwai’s Mogwai Young Team. These, for me, are some of the most important ‘Scottish’ albums recorded in the last 40 years. There are others deservedly considered classic pop or rock records but each of the above went beyond mere brilliance and redefined what was possible, extending the art form itself. With Tape Two the genre-bending sound of Young Fathers joined them as landmark recordings. This is what artistic prizes should be about. Not crowd-pleasing gestures, nor a fillip to industries keen to monetise their product, but public recognition for work that extends the respective art forms. Therein lies a problem for this year’s panel of judges. Despite the high quality of the shortlist only two, maybe three at a push, could make a reasonable claim to extending the art form, reinventing contemporary music, or creating something genuinely groundbreaking and new. 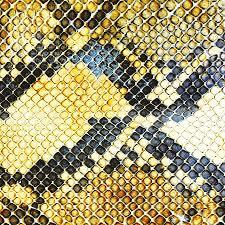 One of them is Amphetamine Ballads by The Amazing Snakeheads. This came out of nowhere last year and blew minds and no doubt a few amps and eardrums along the way. Influences have been cited from Jesus & Mary Chain to The Birthday Party – although its The Cramps and Tom Waits that come to my mind – yet they’ve created something that screams authenticity and originality, dark and brooding, oozing swagger, noise and style. It’s a real shame the band split after this solitary album. We’ll never know what they had left in their locker. Lease of Life, the fifth album by Errors may not redefine what’s possible in music but it’s their best to date and is a sweeping orchestral statement full of unexpected twists and turns, layered disco, guitars, jazz, vocals as instrumentation, always pushing at their own boundaries. Errors would be a popular winner among serious music heads. Paulo Nutini’s Caustic Love was voted onto the shortlist by the public. And what, you might ask, would the public know? In this instance, quite a lot. I wasn’t a huge fan of Paolo Nutini until Caustic Love came along. Nutini’s vocals have shifted gear, there’s more soul, grit and bluesy heartache in there, and although he’s been compared (on this) to Van Morrison or early Rod Stewart, strangely enough there are ghostly echoes of Amy Whitehouse that come to my mind. I suspect all hasn’t run smooth for our Paolo over the last few years and much of it has been channelled back into an extraordinary record. I doubt if this will win but if it did it would wear it well. As for the eventual winner I’ll go for Young Fathers. Again. Dead is so far ahead of everything else released over the last 12 months its scary. It didnt win the Mercury Prize for nothing. Young Fathers are at the top of their game right now. As a live act no one can touch them, and in the studio they’re creating a sound that’s unclassifiable, resonates with the self-belief, ideas and attitude of a band who know exactly what they’re doing and why. From hiphop beginnings, with a soul/pop sensibility, there are now so many fusions of different sounds and experiments at play why bother trying to separate them. It works as a richly textured total immersive experience. Think Phil Spector or Brian Wilson. This creates its own problem for the judges. Do they award the prize to Young Fathers for the second year in a row? As they should. Or do they share out the kudos, and the £20,000 prize money, to an artist or artists it could help more? Tough one. But the correct answer is the honest one. There could another problem giving the 2015 SAY Award to Young Fathers. Their new album White Men Are Black Men Too is as good as Dead. Maybe even better. It isnt inconceivable they could, on merit, win this three years in a row! It’s all about opinions. For instance, for the life of me I can’t understand why Withered Hand’s New Gods wasn’t on the shortlist. It is a classic of intelligent caustic pop music. An absolute belter. The same goes for King Creosote’s From Scotland With Love or Mogwai’s Rave Tapes. These at least made the longlist of twenty. My biggest disapointment was the lack of Scottish hiphop recognised in the lists. Along with Young Fathers and Withered Hand my five nominations for SAY Award this year would have included three hiphop albums: Stanley Odd’s A Brand New Thing captures the spirit and time of the immense year of 2014; Loki’s futuristic G.I.M.P recorded with Becci Wallace is intense and visionary; and Tripolar by Bang Dirty – a rap/folk/electronic collaboration between Mog, Adam Holmes & ZA – is a gem of a find, like nothing else. All three are political, lyrically inventive and essential listening. The SAY Award may be a bit of fun to provoke argument and recognise quality but it does highlight the incontroversible fact that the music scene in Scotland is in great shape. Thanks for the shout-out for GIMP Kevin! Could not agree more, all 3 of those albums deserve wider recognition.